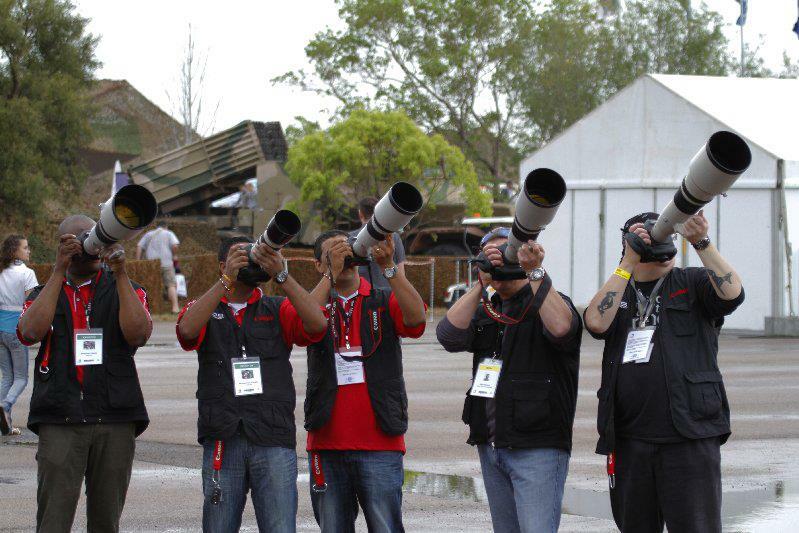 Airshow photography, the Canon way. 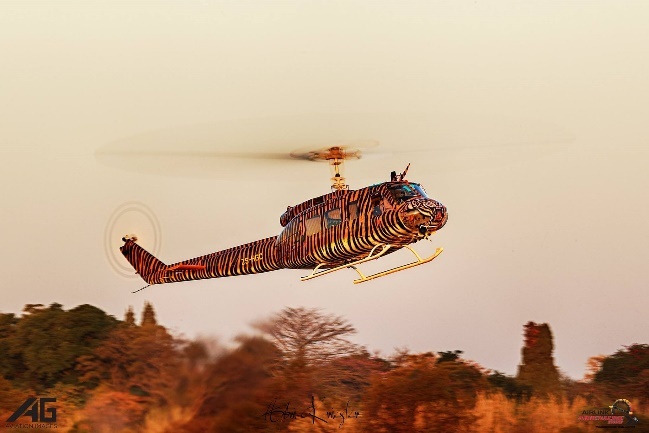 Written by Abri Kriegler – aviation photographer and Canon nut. 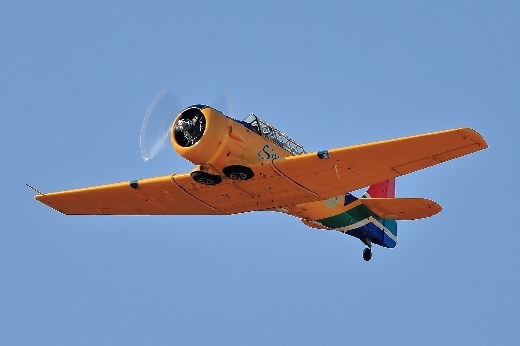 Airshow photography in South Africa is alive and well as can be seen from the number of cameras following aircraft through the sky at any Airshow. More and more amateur photographers are lining the fences to get that one special image of their favourite aircraft or display team. Unfortunately, most of these photographers struggle to get the shot they want and this could be attributed to factors such as: understanding the basic fundamentals of photography, understanding their photographic gear or understanding the settings needed to get that special image. Although this article leans towards the Canon systems, things such as the basics of photography, basic camera usage and basic settings applies to all systems. This section could easily span several pages with a lot of information forced onto the aspiring photographer. Most photographic courses start off with an hour or two on this subject. Here we will try and cover it in a few simple steps. To understand photography, you must understand the fact that any photograph is made up out of light. Light controls and shapes the image or photograph, and how we control the light’s interaction with our cameras, through various settings, ultimately determines the result that we achieve. Exposure, or image capture is controlled by three settings: shutter speed, aperture and ISO. 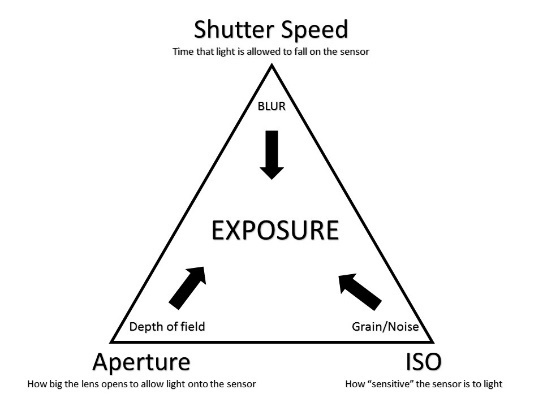 Shutter speed controls the time that the sensor of the camera is exposed to light. This is measured in a time value and controlled in the TV setting of your Canon camera. Aperture controls how much light the lens allows through to fall on the sensor of the camera and is controlled in the AV setting of your Canon camera. The largest aperture value is limited by your lens and is written on your lens. E.g. Canon EF100-400mm f/4.5-5.6L IS USM has a maximum aperture of f/4.5 at 100mm and f/5.6 at 400mm. The ISO setting is the sensitivity of your camera’s sensor to light. In a bright situation you can use a lower ISO value (ISO 100) than in a darker situation (ISO 1600). Each of the three controllers does have a bit of baggage, or issues, associated with it. Shutter speed: The slower the shutter speed, the more you can become prone to camera shake, or the dreaded out-of-focus “arty” images. 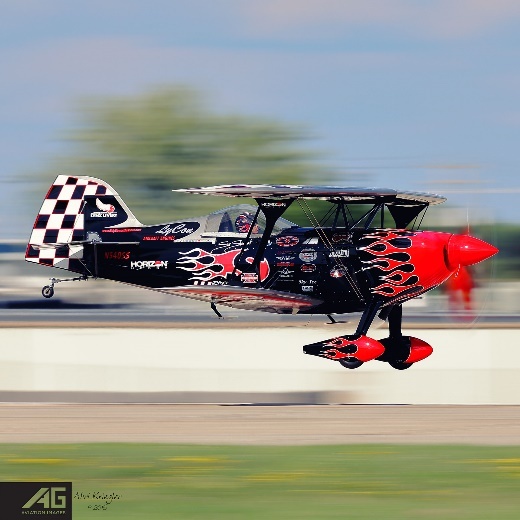 On the other hand, a slower shutter speed would add a sense of movement to your images, either through panning or through propeller blur in older aircraft or helicopters. 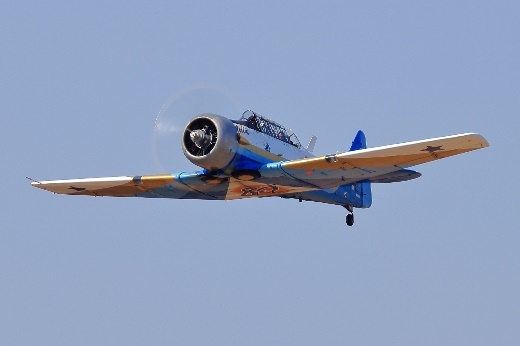 My rule is that an image of such an aircraft should always have the most amount of blur possible such as the image for the Harvard below right. Aperture: This might get a little confusing, but the smaller the number associated with aperture, the bigger the opening of the lens. 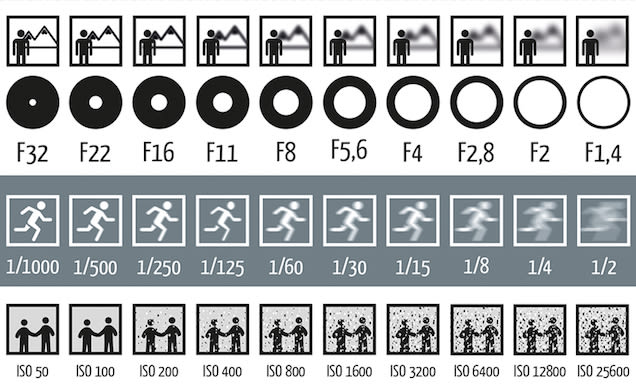 Aperture value is expressed as f/2, or f/2.8. Understand that the “f” stands for focal length and using the “/” in a mathematical equation will give us the lens opening associated with that value. For example: f/2 on a 50mm lens – 50/2=25. 25mm is the diameter of the physical opening of the lens through which light passes, or known as the entrance pupil. The issue with a bigger f value such as f/2.8, is that your depth of field, or objects in focus in front, or behind your focus point. ISO: When shooting in bright sunlight, or in situations where there is enough illumination, the ISO value can be rather low such as ISO 400. To get fast shutter speeds, or use a smaller aperture in darker situations, you will have to increase the ISO value. Increasing it to too high a value will result in “noise” appearing in your image. This chart helps in explaining this a little more. It is interesting to note that you can use different combinations of these setting to achieve the same result. This is very good for you if you are limited by your equipment. A good example of this is if your lens does not go to and aperture value of f/2.8 but can only go as low as f/4. Another factor that influences the exposure or image is the metering mode at the time that the image was taken. Metering is how your camera determines what the correct shutter speed and aperture should be, depending on the amount of light that goes into the camera and the ISO. Back in the old days of photography, cameras were not equipped with a light “meter”, which is a sensor that measures the amount and intensity of light. Photographers had to use hand-held light meters to determine the optimal exposure. Obviously, because the work was shot on film, they could not preview or see the results immediately, which is why they religiously relied on those light meters. Today every camera has an integrated light meter that automatically measures the reflected light and determines the optimal exposure. There are three common metering modes: Evaluative metering, Centre-weighted metering and Spot metering. Evaluative metering analyses readings from multiple areas in the image. Centre-weighted metering takes an average of the scene with a bias towards the centre of the scene. Spot metering covers a smaller area (2-3% of the scene) and allows the photographer to dictate where the key point of exposure is. I use this mode for most of the images I would take at an Airshow because I like to expose for the aircraft in the shot. Once again, I must stress that these controls and settings are based on the Canon system. Other systems will have slightly different naming for their controls, however the outcome will still be the same. Shooting modes for the camera are controlled by the main dial and allows the photographer to select the shooting mode. There are several shooting modes ranging from Automatic, where the camera makes all the decisions for you, to more creative models such as Program (P), Aperture value (Av), Time value (Tv) and Manual (M). Automatic mode (the green square): Aperture and shutter values are automatically set to prevent camera shake, Auto ISO. Program mode (P): This is a step up from fully automatic. The camera detects which lens is used and sets the shutter speed and aperture. Aperture value mode (Av): This mode is used when more control over aperture is needed. The photographer sets the aperture and the camera sets the shutter speed. I use this mode when shooting fast moving aircraft such as jets where I do not have to show movement. Time value mode (Tv): This mode is used when more control over shutter speed is needed. The photographer sets the shutter speed and the camera sets the aperture. This is the mode to use when shooting aircraft with propellers or rotors in the case of helicopters. Manual mode (M): All setting for shutter speed and aperture are controlled by the photographer. When photographing at an Airshow your camera should always be on a continuous focus mode, unless you are shooting static images on the flight line. Set your camera to AI SERVO mode and continuous shooting. I use back-button autofocus on all my camera bodies and would suggest this to anybody whose camera allows this. Unfortunately, this is very camera dependant and setting this up changes from model to model. I suggest you have a look in your camera manual if you want to set this up. The correct posture when taking photos are also very important as this will help combat camera shake. Keep your elbows together, against your chest. Keep your left hand under the lens, rather than on the side. Lean slightly into camera, holding it tight against the forehead. Keep your legs open. Same for shooting portrait, no excuses. Keep in mind that if you have a zoom lens, your left hand will also be adjusting your focal length. Your right hand should now automatically fit on the side of the camera. Teach yourself the button layout of your camera, so that you can do minor adjustments whilst keeping your eye to the viewfinder. The more you practice the better you will most definitely get. Use every opportunity to practice your panning, from children and dogs running in the garden to vehicles driving past your property. Remember to keep your stance as solid as possible while following the movement of your subject by turning from the hips. On a serious note, as we know, your budget determines your gear. 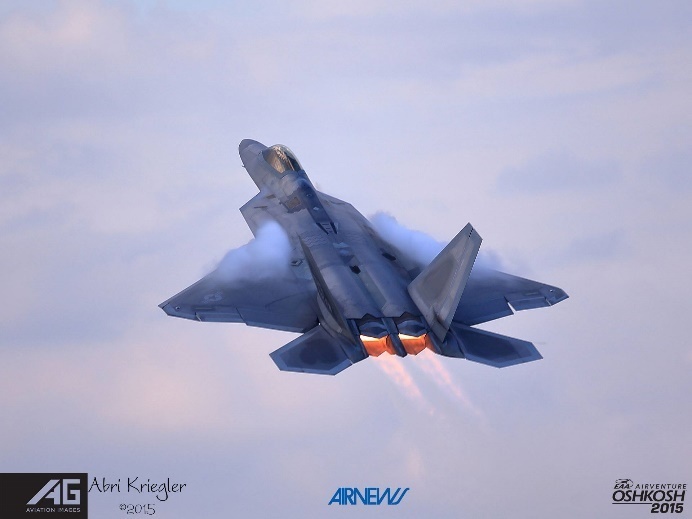 I have seen photographers shooting with the most basic camera and lens combinations getting the most amazing photos at Airshows. Do not put yourself down because you cannot afford the latest and greatest. Make do with what you have, learn to use your gear to its full potential and when you can upgrade, make sure to get the most bang for your buck. Although it is possible, I would not suggest using a Digital Compact Camera, a camera where the lens is permanently attached, to use as an Airshow camera. Look at an interchangeable lens camera that fits your budget. The more expensive bodies will have better frames per second speed, focussing systems, memory buffers and durability to name a few. There is a very good reason why I only own Canon lenses. I believe that the Canon lenses works best with the Canon system and offers the best results. Having said that, once again you have to look at it from a budget point of view. You will need a long zoom lens to capture that aerial display and something shorter to capture some static images of the people and maybe some aircraft on the flight line. 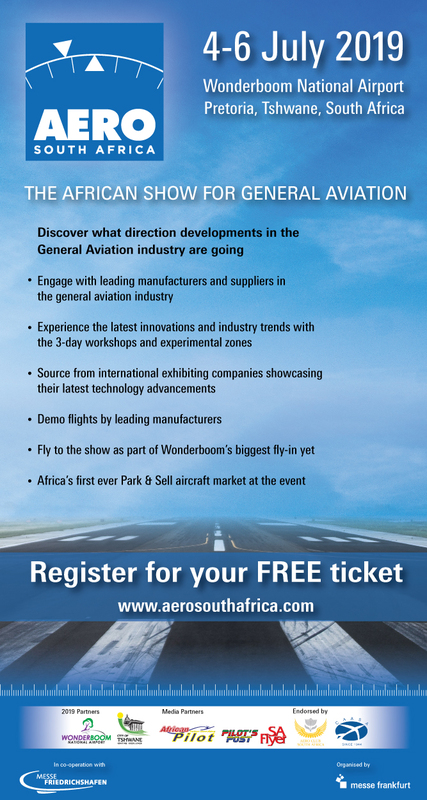 I find that a minimum of 300mm focal length is sufficient for most South African Airshows. I do not take a tripod or monopod to Airshows as I find them cumbersome and restrictive. Always take at least two batteries, it helps to have them charged before the show! Take a cleaning cloth to clean the dust and sweat from your camera gear. Invest in the best memory cards that you can buy. The cheaper cards are cheap for a reason. Do – Enjoy yourself. Take as many photos as you can, that special moment only happens once. Walk around, don’t stand on one spot and get the same photos as everybody else. Smile and wave at the pilots walking or taxing past, they do notice and it makes for a great photo when they wave back. Help other photographers that you see struggling, you were there once as well. Go up to the pro photographers and ask them for tips. Most of the time they are more than happy to help. Do not – Go where you are not allowed. Safety officers will ask you to leave the Airshow. Get in the way of another photographer, be aware of your surroundings.